As many claimants know the time between filing a request for hearing and actually having a hearing very long. Sometimes the wait can be in excess of 2 years! In an effort to reduce this time delay, SSA has created the “video hearings”. 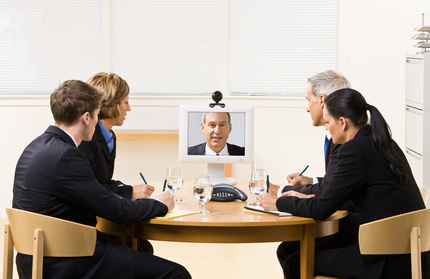 These hearings are held through a video conference system (VTC). The administrative law judge appears before a camera in his/her office (usually at in another state) and the claimant and claimant’s representative appears before a camera at the ODAR hearing office closest to the claimant. The advantage to having a video conference is that hearings are held sooner than having to wait for a hearing with a in the same room. This system has been particularly useful in ODAR hearing offices which are unusually busy such as the Indianapolis ODAR. As far whether a hearing before a judge in the same hearing room or a VTC hearing has a bearing on the outcome of the case, my experience is that neither form of hearing is “outcome determinative.” If the case is won it is not because the hearing was before a live judge or a video judge. Conversely, if the case is lost it is not because of having appeared before a live judge or a video judge. With all that said, SSA has by regulation, created an absolute right for a claimant to decline a video hearing. [ 20 C.F.R. §§ 404.936(e) and 416.1436(e).] As long as the claimant informs SSA “a the earliest possible opportunity, before the time set for hearing” the regulations provide that the ALJ will change the time and place for the hearing.